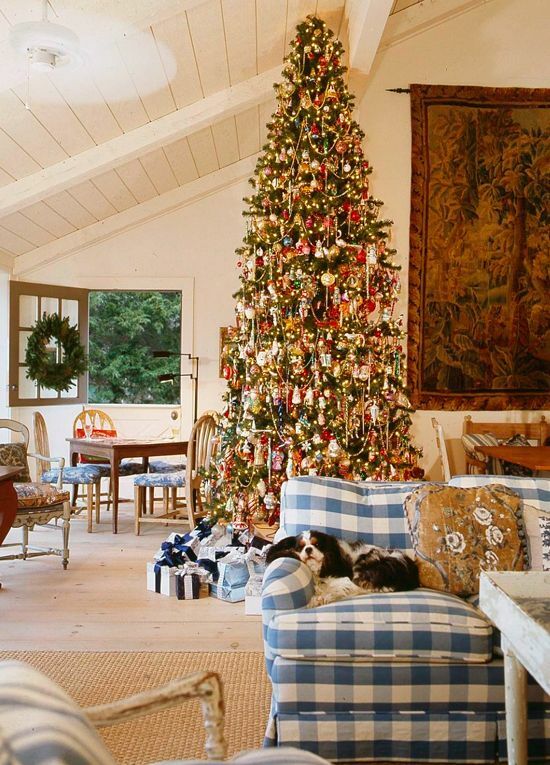 It is hard to believe that Christmas will be in full effect in about 3 weeks, unless you are like me and have a hard time waiting until after Thanksgiving to being decorating for Christmas! 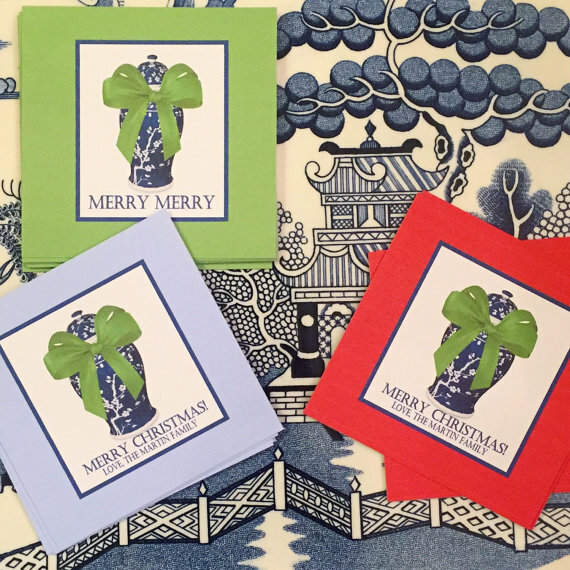 But just because all things red and green will be invading, that does not mean that you have to put away all of your blue & white! 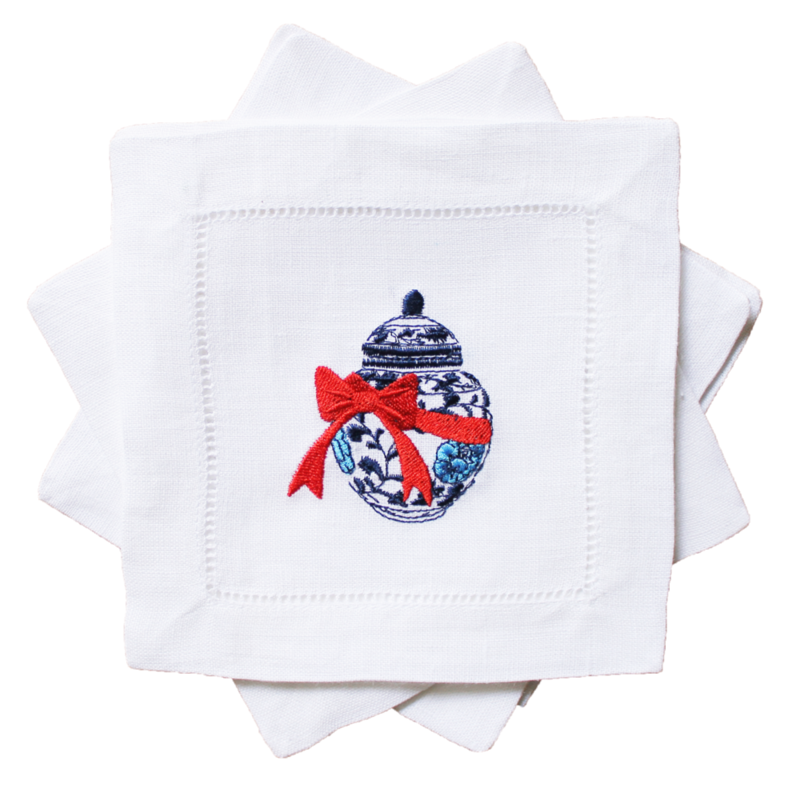 Here are some great Blue, White and Christmas items to get you in the Christmas spirit! These ginger jar cocktail napkins are sure to put you in the Christmas mood! They are almost too pretty to only use at Christmas time. Lettermade also makes a ginger jar napkins for the rest of the year too! I can't decide which ones I like better. LB Originals does it again!! How amazing are these christmas tags? This is one of my favorite christmas photos. I don't know if it's because of the cute little pup, or the amazing couch. But I am excited for a blue and white Christmas!